Fortem required an innovative solution to streamline a tedious referral process for workmen on the go. We were approached by Made By Pi in 2017 when they sought a digital agency to build a solution for their client, Fortem. The property services company required a solution to aid their referral management process. When facility management engineers were out on a job, they would often spot additional issues that needed addressing. For example, they might be at an elderly lady's home fixing a leak and spot a fire hazard in her kitchen. Before, there wasn't an easy way to make and manage the status of referrals for this sort of event. The solution we built changed this. 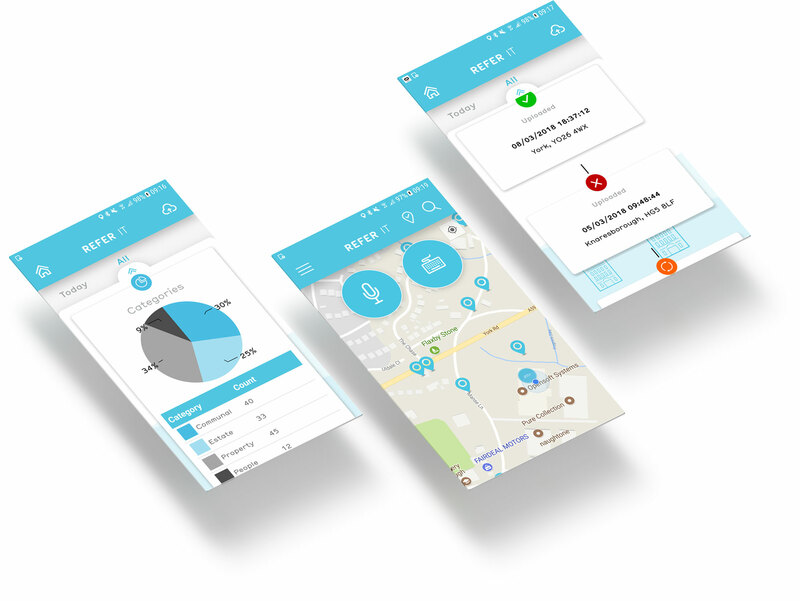 After a Sprint Week, it was decided that Fortem required a solution (known as REFERIT) that consisted of an Android app, web portal and API to help with their management of referrals. We harnessed the power of Artificial Intelligence (AI) to create a quick and easy referral process. We began the project with a Sprint Week that involved Made By Pi and Fortem. The sprint helped us to decide on a way to allow facilities management engineers to capture details of a referral. The process needed to be quick, intuitive and in no way invasive. At the end of the sprint, Fortem were delivered with a prototype for user testing. This process helped to prove the concept. The results of the sprint indicated that AI technology could allow users to quickly create referrals through speech. We proposed using voice recognition and language understanding so skilled tradespeople could describe property maintenance, social and safeguarding issues to the app which then uses AI to determine the categorisation and prioritisation of the case. Facilities management referrals can become quite sensitive, particularly when it comes to protecting people's privacy. For this reason, the app utilises AI and facial recognition technology to remove any family photos, documents and people who have been inadvertently captured when taking photos as referral evidence. 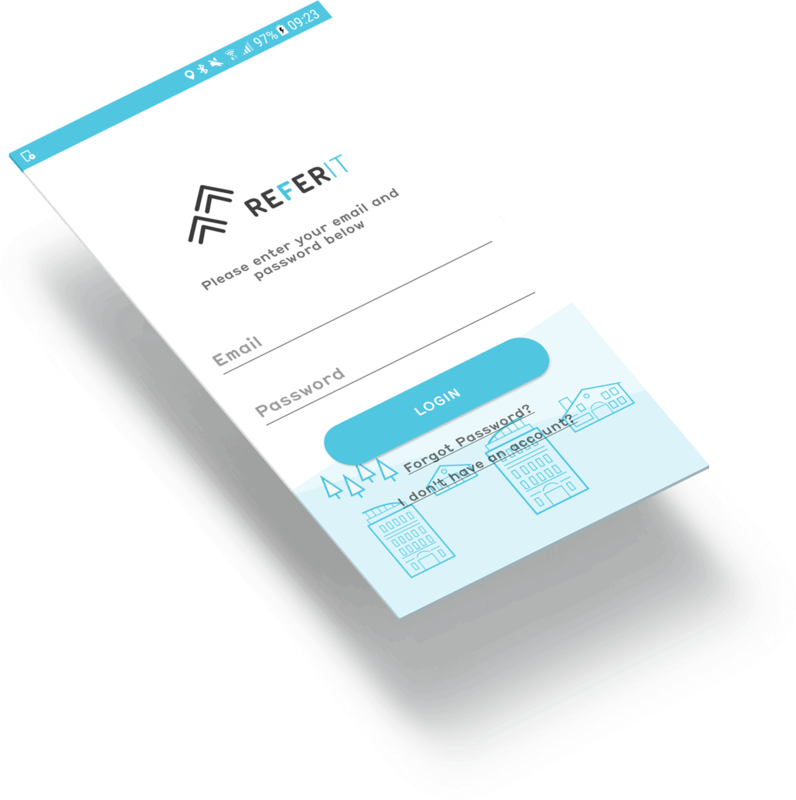 Making and tracking the status of referrals is now, as standard, completed using the REFERIT app.